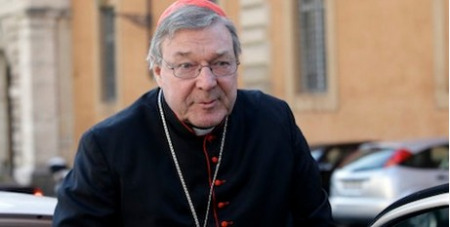 Cardinal George Pell has restated his willingness to give evidence to the Royal Commission into Institutional Responses to Child Sexual Abuse in a letter written to the Chair of the Commission. "Without wanting to pre-empt the Royal Commission in any way - you can't just invite yourself to give evidence - I want to make it absolutely clear that I am willing to give evidence should the Commission request this, be it by statement, appearance by video link, or by attending personally", he wrote in the letter sent earlier this week. Cardinal Pell also said it was important to restate his strong personal commitment to full co-operation with the Royal Commission in light of the Ballarat hearings and speculation about his own willingness to give evidence. "Like everyone else I am horrified by the accounts that survivors have given in their evidence during the Ballarat hearings, and at the enormous impact the abuse has had on them, their families and the community. "I am also deeply saddened by the way Church authorities have failed in responding to these crimes.